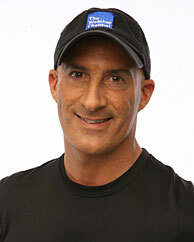 Jim Cantore is one of the most famous meteorologists on television. He is always at the very worst part of a storm coming ashore, and people revel in his knee deep storm reporting. The joke is for people to pay attention to where Cantore is reporting from, and go in the opposite direction. In March we started planning a Florida vacation. My wife studiously searched the web for condos on Florida beaches, and came up with what sounded like a good deal. So, we bought a week’s worth of beachy bliss for later in the summer. It will be hot, but that’s why they have pina colada’s and cold beer. In the last two weeks, Jim Cantore made an appearance on the section of Florida beach were we are going. Can you imagine that? Cantore was on my beach! I should have known. This is an El Nino year, and Atlantic storms and hurricanes are more plentiful during that phase of the Pacific oscillation. El Nino years are hot years, as you can witness with the current heat wave across the entire United States. Hind sight is great. I should have bought trip insurance, but I got cheap when I did the booking. It’s too late for that, now. It looks like it is possible for us to be sharing our beach with Mr. Cantore. Looking at the bright side, maybe Mr. Cantore will let me buy him a beer, and give me his autograph on my receipt for the condo. You gotta keep a positive outlook. Oh dear, sorry about that Bob. Maybe it would be too bad. One can always hope.